Durable yet lightweight uniform is comfortable and allows for a full range of motion. Available in three styles. Elastic pants. • Size: 0-7 • 55% Cotton 45% Polyester • White belt included. .. Durable yet lightweight uniform is comfortable and allows for a full range of motion. Available in three styles. Elastic pants. 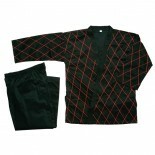 • Size: 2-7 • 55% Cotton 45% Polyester • White belt included. .. Durable yet lightweight uniform is comfortable and allows for a full range of motion. Available in three styles. Elastic pants. 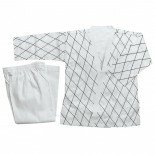 • Size: 3-7 • 55% Cotton 45% Polyester • White belt included. ..